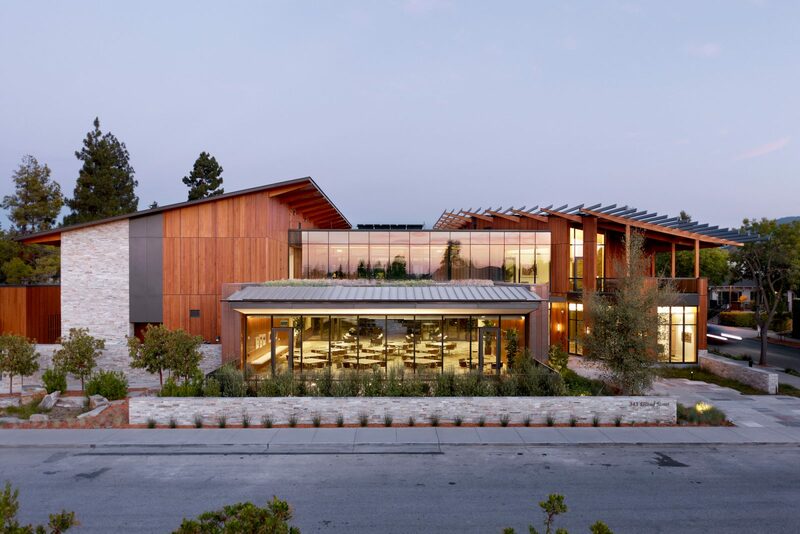 The new office building for The David and Lucile Packard Foundation was designed to serve as a catalyst for broader organizational sustainability initiatives by achieving net zero energy use and LEED Platinum certification. This effort began right from the outset with deconstruction. 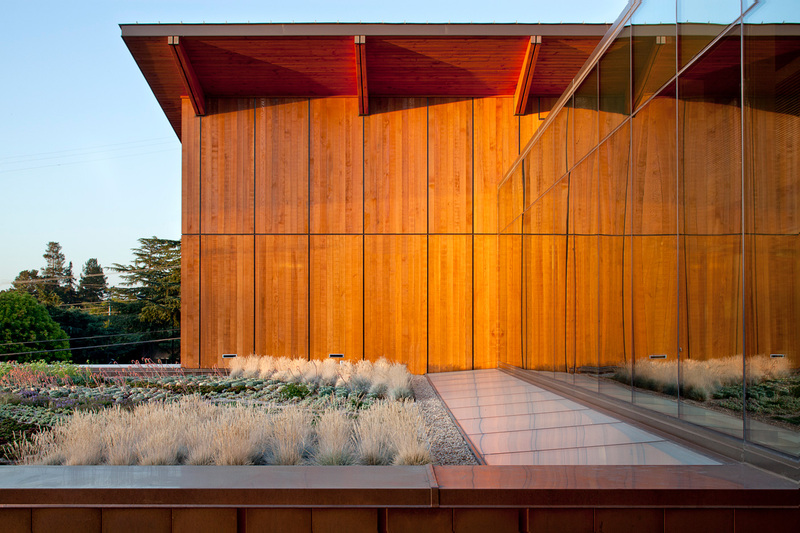 The 1.5-acre site, set among 1960’s era buildings, was cleared in a way that maximized landfill diversion. In fact, 95% of construction waste was successfully recycled or salvaged, which earned the project the maximum LEED Points for Construction Waste Management. 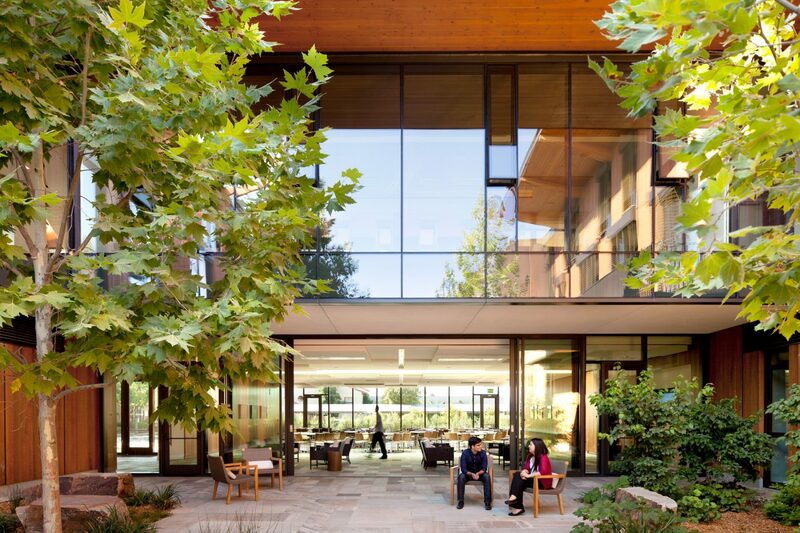 The design includes two slender daylit office wings flanking a beautifully landscaped courtyard. The regional architectural language and material selection brings local poignancy to a replicable prototype. Rainwater is collected for toilet flushing and irrigation, and stormwater is retained on-site. 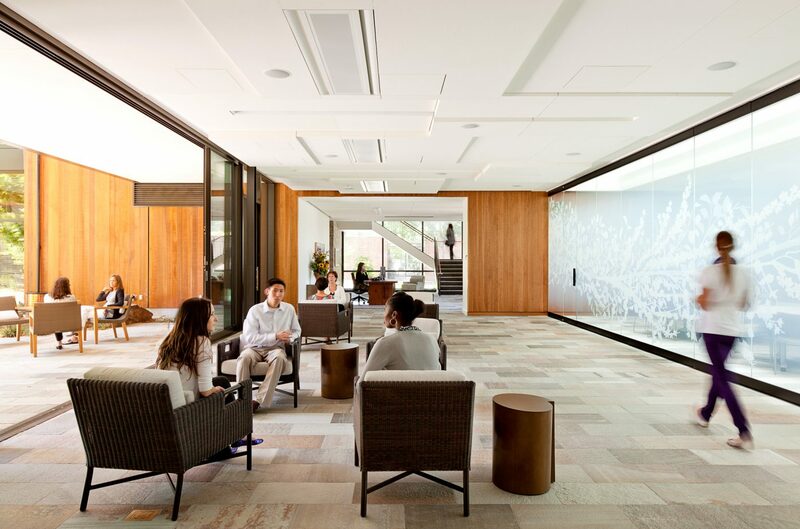 Inside, meeting rooms are outfitted for remote collaboration, promising dramatic reductions in travel-related carbon emissions. Additionally, a transportation demand management plan helped eliminate the need for an $8 million underground parking garage, further reducing the organization’s carbon footprint. Through integrated building design and aggressive reductions in plug loads, the building’s energy use will be reduced by 65%. 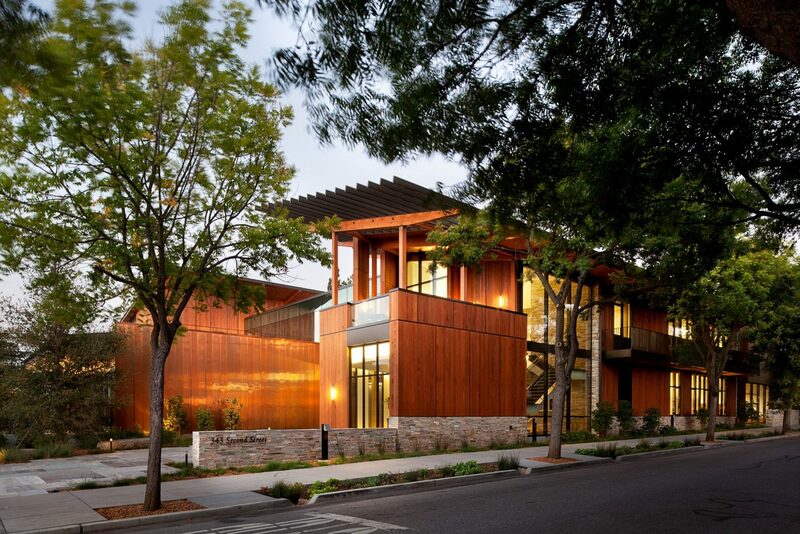 In addition, innovative use of roof-mounted photovoltaic panels will offset any energy used, resulting in a net zero energy building – and an organization that’s leading the world by example.